Not Your Average Style Fix: Giveaway! If you followed the Suit Wars, you must remember the stunning croco effect messenger I wore with my tartan suit, made by The Code, an up and coming Spanish brand making beautiful handmade, leather bags and purses. 1) Follow Not Your Average Style Fix with Bloglovin and like this post on Bloglovin. If you don't have an account, you should totally make one here, it only takes a second and you'll love it anyway! 2) Follow The Code with Facebook and Twitter, to keep up with their awesome new designs! 3) Leave me a comment below with your email address so I can contact you if you're the lucky one! The winner will of course be chosen randomly and contacted by email as well as announced here in a week! Hey! Followed you on Bloglovin, like The Code on facebook and followed it on twitter. Me apunto !! Suerte !! He llegado aquí gracias a The Code, que me ha informado, he visto tus últimos post y me han encantado, así que me quedo por aquí, y de paso práctico mi ingles, que no me vendrá nada mal. Thank you for the present!!!!! great giveaway! 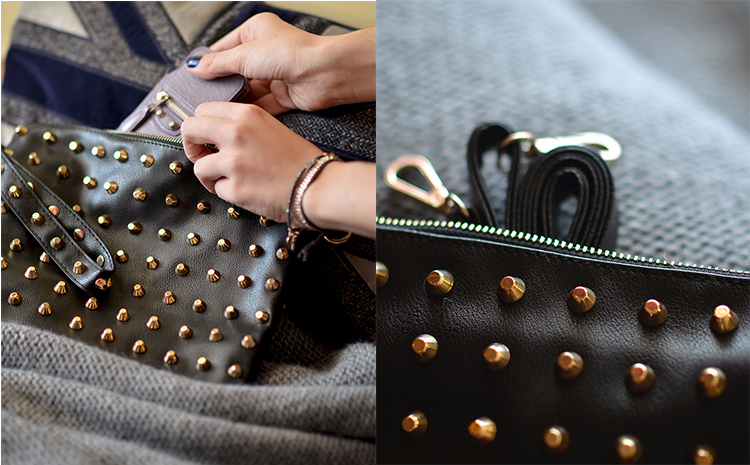 love this clutch! name on FB Laura López, name on Twitter @naive2. steps one, two and three...check! Beautiful prize, step 1, 2 and 3 done!